In 1947, Walter Schoenknecht developed Mohawk Mountain in the Southern Berkshires of Cornwall, CT. It’s become the state’s premier ski resort. It’s the oldest, largest, and largest vertical in Connecticut. It’s also one of the most reliable in the entire country. 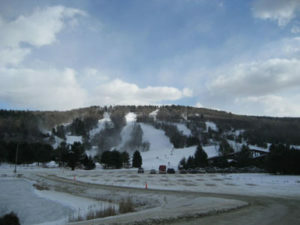 While skiing in the western United States is more vulnerable to droughts and warm temperatures than you might think, Mohawk Mountain is the “home of snowmaking.” Combined with reliably cold temperatures, you can start skiing earlier and without the same level of hassle in terms of constantly checking the weather and mountain conditions report. Sure, there are fluctuations and better days than others. On occasion, skiing in Connecticut can also have freshly fallen powder. Mohawk has a summit of 1,600 feet, 25 trails including 12 trails available for night skiing, 107 acres of skiable terrain, and a 650-foot vertical.